The RiotACT has compiled a list of some of the major players in the local seafood stakes this Christmas. Turkey has its place and Christmas pudding can get the taste buds dancing but it seems there’s nothing so authentically Aussie as seafood for Christmas lunch. While some Canberrans will persist with much-loved English traditions, more and more people will be adding fresh prawns, oysters and perhaps even lobster to the Christmas menu. With the weather in Canberra predicted to be a sunny 32 degrees on Christmas day, a seafood lunch served outdoors starts to look even more attractive. But where can you purchase seafood in Canberra? 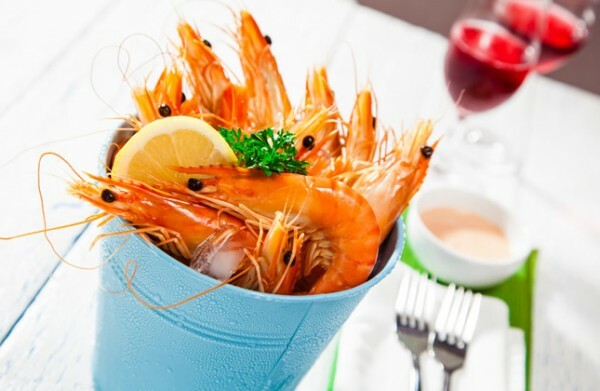 What are the options and what is open on Christmas Eve – which is often the best day to purchase prawns if you want them to be freshly-cooked and tasty? The RiotACT has compiled a list of some of the major players in the local seafood stakes this Christmas – and as you will see, you’re spoilt for choice. Narooma Seafood Direct will be at Capital Region Farmers’ Market at EPIC this Saturday, December 22 from 7 am to 11 am and at Canberra Southside Farmers’ Market at the Canberra College in Phillip from 7 am to 11 am on Sunday, December 23. They will also be making a drop off at a Watson location on the Sunday for people who put in orders. There will be fresh produce available at the EPIC and Southside markets but place an order by this Thursday (December 20) to ensure they put aside what you need. 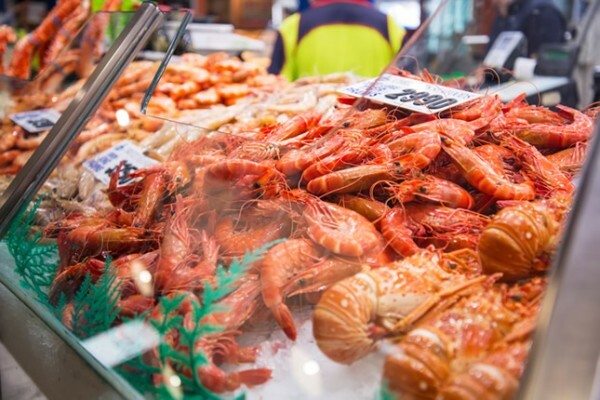 Among the delicious seafood on offer is locally caught wild Australian prawns, Narooma lobsters, scallops, squid and a wide range of fresh Narooma-caught wholefish. FishCo is one of the largest seafood sellers in the ACT, with a busy and successful market at 19 Dalby Street, Fyshwick (their previous store at Belconnen Fresh Food Markets is now under new ownership – that of a former employee). FishCo is a family-owned and operated business that is both a retailer and a wholesaler. They offer a wide variety of quality produce sourced daily from Fish Markets and Aquaculture farms around Australia. 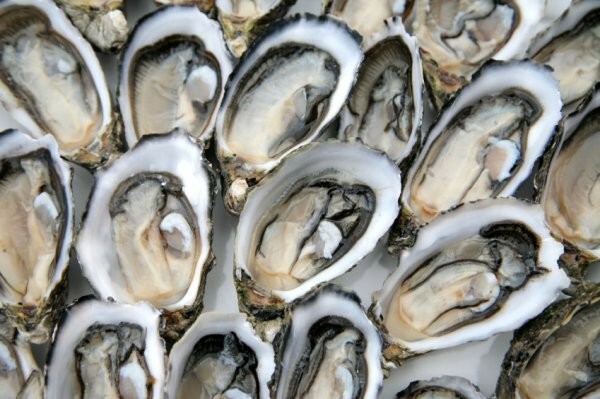 Australian Aquaculture farms are known as being among the best in the world and produce high-quality salmon, barramundi, prawns, lobsters, oysters and more. FishCo’s website has their full Christmas shopping hours which include from 5 am to 4 pm on Christmas Eve and from 7 am to 1 pm on New Year’s Eve. For more details phone 6239 6415 or email info@fishco.com.au or visit the website. Ocean Fresh at the Fyshwick Fresh Food Markets is always busy with both a fresh seafood section and a popular cafe and takeaway. The owner-operated business hand selects seafood from the Sydney Fish Markets each week and has first rights to a wide range of seafood due to the close relationships they share with fisherman and trawler fleets across Australia. Ocean Fresh has extended trading hours over the Christmas and New Year’s Eve. It will be open from 6 am to 5:30 pm from this Thursday (December 20) to Sunday (December 23) and from 5 am to 5:30 pm on Christmas Eve. Sea Harvest at Belconnen Markets and Fyshwick Markets is always busy and has an amazing array of whole fish and fillets as well as plenty of choice with prawns and crustaceans. The business has been selling seafood in Canberra for four decades and supplies a number of our seafood restaurants. Both the Belconnen and Fyshwick stores have extended opening hours over the Christmas and New Year period, with the Belconnen store open from 5 am to 5 pm on Christmas Eve and the Fyshwick store open from 5 am to 5.30 pm. Click here to see the extended hours. In the lead up to Christmas, Sea Harvest has introduced a ‘click and collect’ system for orders over $100 – click here for the order form. If you don’t want to battle the crowds at the various markets when buying your seafood then pop in and chat to your local fishmonger instead. Most regional shopping centres now seem to have good fish outlets and at Christmas – with seafood in such demand – even the smaller outlets often offer a good variety. 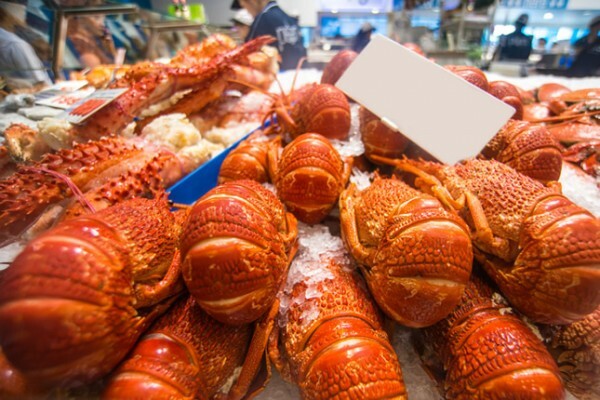 Most big supermarkets also have pretty good seafood displays and a good turnover – with Coles and Woolworths having some clout when it comes to buying in bulk and sometimes offering good prices. However, if you’re after good quality seafood then make sure you choose carefully and ask to taste prawns or if the fish has been frozen. What are your tips for buying seafood at Christmas? Let us know in the comments below. Ask RiotACT: Christmas dinner out?